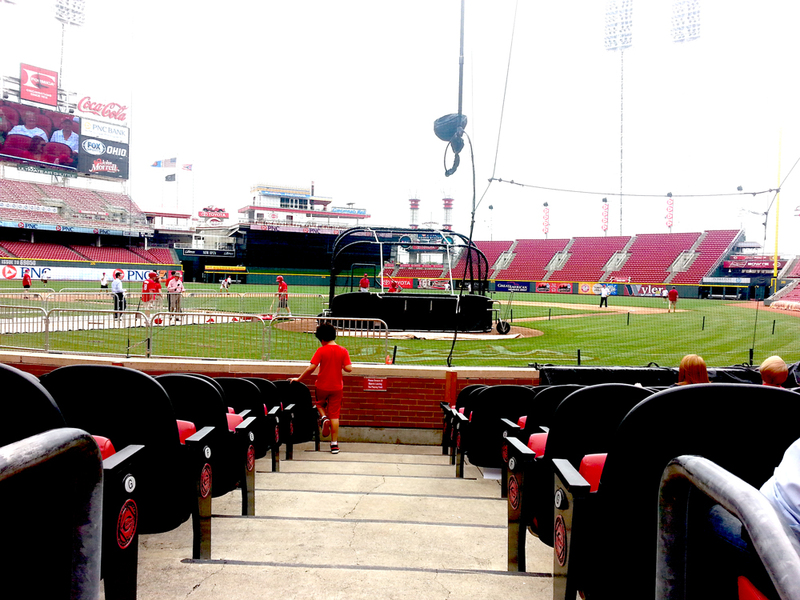 It was a great day at the Red’s Ball Park with the kids. 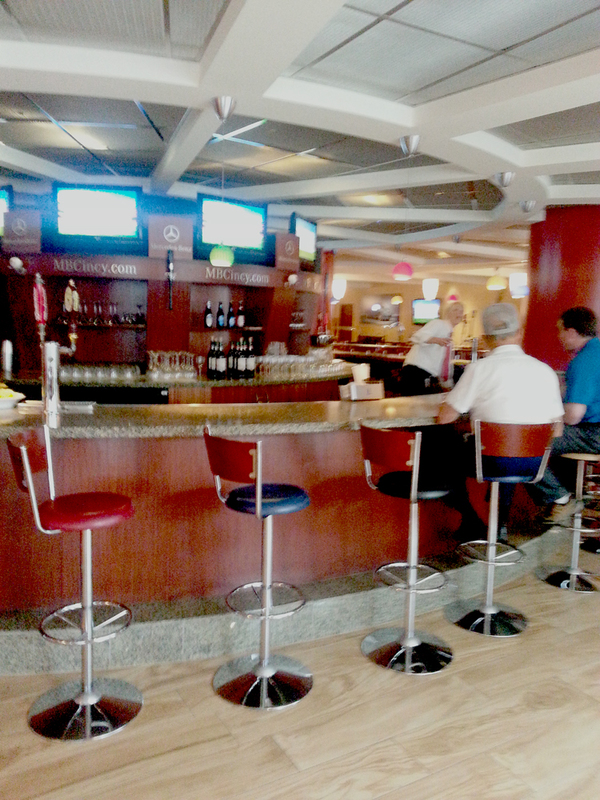 There’s nothing like coming out of the Diamond Club directly behind home plate. While dad’s played on the field, kids enjoyed a variety of activities including my face painting. 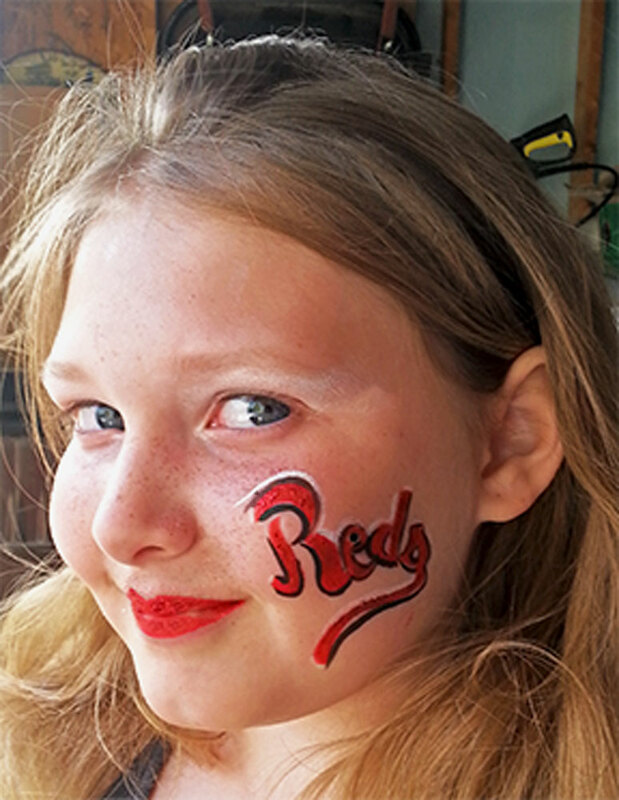 This young lady loves the Reds. After the game the families relaxed, and enjoyed a meal. A perfect end to a great day. I’d love to talk with you about your next special event. I have a few open dates for the summer of 2014. Click here to send me an e-mail . This entry was posted in Recent Events and tagged Summer 2014 on May 29, 2014 by Joyce.